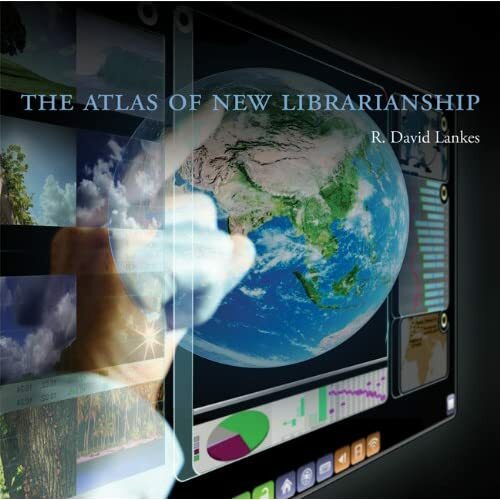 David Lankes’ book and companion website The Atlas of New Librarianship explores the future of librarians beyond of the scope of traditional libraries and books. He argues that we need more than a connection with technology in order to thrive. While he advocates the importance of technical skills, for Lankes, conversation is the essential key that unlocks our ability to connect with our community, teach, share knowledge, and provide access. How do we start a conversation with the public about what librarianship means to them? How do we translate our core values and change the way others perceive us? 21st century librarians are dealing with a global shift not only within the field, but in our daily lives. The identity crisis that we are coping with can only be resolved by proactively communicating outside the library community. We must market ourselves to a new audience that does not expect to find a librarian outside of a library. Find a copy of the book at MIT Press.